Every year members of Kansas-Nebraska Campers on Mission contribute hundreds of volunteer hours to camps and other Christian organizations. Several COM members spent the winter working at Texas Baptist Encampment, Palacios, Texas. 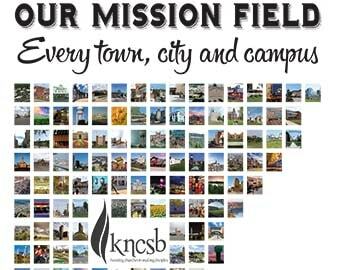 The Kansas-Nebraska Campers on Mission spring rally will be held April 27-29 at Webster Conference Center, Salina, Kan.
Kansas-Nebraska COM will host the 2019 Campers on Mission National Rally. It will be held June 5-7 at the Kansas State Fairgrounds in Hutchinson. Much of the spring rally will be devoted to planning for the 2019 National Rally. May 20-25 — Work project at Weir Baptist Camp, 12 miles southwest of Pittsburg, Kan.
June 18-21 — Campers on Mission National Rally, Georgia State Fairgrounds, Perry, Ga.
Aug. 12-17 – Work project at Alpha Christian Children’s Home, Perry, Kan.
Sept. 28-30 — Fall rally at Weir Baptist Camp followed by a work project. Dec. 1 — Campers on Mission Christmas party at Webster Conference Center, Salina, Kan.